Increases in technology and employee management strategies have driven home an important point: employee engagement is important to business success, and yet woefully ignored. 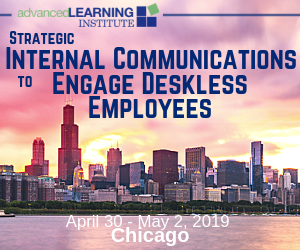 With that said, there’s tremendous potential to improve your business, reduce turnover, and improve your employee’s lives with employee engagement strategies. Here are five trends we expect to see gain traction in 2019. As we move into 2019, organizations of all sizes are once again reviewing employee performance management strategies. While HR Pros have been reading about some of these trends for a couple of years, actual rollouts have mostly been limited to a few large corporations. Increasingly, companies realize that to succeed, they must create an employee-centric culture and employ the latest performance trends, because they are able to hire, retain and develop employees. Employee Performance Management In 2019. First of all, as a long-time technology adoption trend analyst, this year’s Unleash conference sessions speak to the continued maturation and sophistication of our field. When: March 19, 2019 · 11:15-11:40. When: March 19, 2019 · 11:45-12:10. When: March 19, 2019 · 12:15-12:40. 5 Culture Trends for 2019 1 The workplace is constantly evolving. approach 2019, major shifts in the work. trends for 2019. anticipate and leverage these trends to create. the five latest culture trends and how you can. employee turnover Hiring Process hiring strategy applicant tracking software vendor HR trends Applicant Flow hyrell unemployment rateThe Bureau of Labor Statistics has released it's annual interactive unemployment rate map. If you thought recruiting top talent was tough going in 2018, experts predict 2019 will be even tougher. . Because today’s increasingly competitive recruiting challenges are set against a backdrop of ever-changing, more sophisticated and even more costly recruiting trends. If you’re looking to learn from top-notch thought leaders, expand your networking opportunities, or find the next innovative technology, our list of 2019 people analytics conferences and events will help you stay on top of the latest advances and trends. Happening throughout 2019. While the trend is positive across virtually all industries, it’s particularly common in certain fields. We’d rarely recommend that a manager be more unpredictable; however, using this strategy judiciously by being a bit creative about when you provide a boost can be surprisingly motivating. Everywhere you turn, a different expert is declaring the best ways to move your HR program forward in 2019. We’ve seen the stats, deciphered the graphs, and summed up the findings in our newest guide, 5 Best Practices for Engaging Employees in 2019. Last week Deloitte released the 2019 Global Human Capital Trends report. These five design principles define the “why” of reinvention and the 2019 Human Capital Trends, listed below, are divided into 3 categories: Future of the workforce. Here are Deloitte’s Human Capital Trends from the last 3 years: Deloitte Human Capital Trends Report. Deloitte Human Capital Trends Report – 2017. Deloitte Human Capital Trends Report. In this webinar, Katrina Kibben will moderate a panel of expert practitioners - Elena Valentine, Arron Daniels, and Sedef Buyukataman - who will share technological and media trends that will create a better connection with candidates. What tech you should be watching in 2019. I'm dusting off my blog after a long winter's nap and looking out my office window to see government employees aimlessly walking the dog because they can't go to work, and, well, Happy New Year 2019, everybody! So I decided to wait until a week-deep into 2019. In January of 2019, Meghan M. Biro hosted a Reflektive webinar focused on the major trends driving performance management in the coming year. Biro outlined five trends she predicts will shape performance management in 2019. Deloitte’s 2107 Global Human Capital Trends study reveals some telling statistics about performance management: Over 70 percent of companies surveyed are in the process of changing their performance management processes. What to accomplish in 2019. There’s no telling what challenges the new year will bring, but here are seven areas savvy HR pros will be keeping top of mind in 2019, as they’re likely to shape the workplace this year. And a bump in pay isn’t the only strategy employers are implementing. We asked four experts to weigh in with their perspectives on today's biggest learning content trends, and offer recommendations for experimenting with them at your organization. Kaylen Nalven Looking to update your content strategy? The arrival of the new year means the release of Wellable’s annual 2019 Employee Wellness Industry Trends Report. 2019 is here and it’s time to start the year fresh with new goals, initiatives and strategies for success. Are you curious about what’s on the horizon for benefits administration in 2019? If so, we’ve got everything you need to know in our annual Benefits Trends report. In part 3 of our 3 part series, we’ll cover everything you need to know about benefits technology trends for 2019. Get 2019 Trends Report. While corporate social responsibility can be about doing good in ways that don’t relate to business, 2019’s corporate social responsibility trends definitely steer towards implementing ideas that directly benefit your business and your bottom line. We’ve forecasted 5 trends that you should consider incorporating into your CSR strategy. While diversity has been a key issue for more than 15 years, it remains one of the key corporate social responsibility trends in 2019.
are focusing more than ever on strategies to retain and hire top employees, compensation being a big one. regard to compensation Define Your Strategy Define your talent market(s) Determine level of competitiveness What do you want to reward? current with your goals and market trends. In 2019, you can bet technology and tools will provide new opportunities (both big and small) to streamline, enhance, and improve your work. Here are the top six HR technology trends for all human resources professionals to watch in the coming year. So every year we see a crop of recruiting trend predictions coming from everywhere. The rise of recruiting feedback driven culture looms so large on the recruiting horizon that I can’t ignore the prediction, even though I am co-founder of the platform that is in large part enabling this trend. It’s a new year, and everywhere you turn a new expert is declaring the best ways to move your HR program forward in 2019. We’ve seen the stats deciphered the graphs and summed up the findings in our newest guide, 5 Best Practices for Engaging Employees in 2019. Not trends or strategies or tactics, but best practices. Download our newest guide today to learn about the five best practices that can make a difference in your organization in 2019. 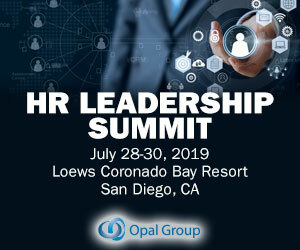 After 2018 has proven to be the year of addressing the serious issues surrounding equality, diversity, inclusion and sexual harassment, 2019’s focus has shifted to include solutions to these problems with help from HR software, automated systems and AI tools. CakeHR in 2019. With the new year already in full swing, we have tapped some great thinkers in the world of Employee Experience (EX) to discuss the trends to keep an eye on in 2019. But from my lens, those of us in HR should put our energy and focus on building community in our organization for 2019. We’ll have to look for trends, figure out how to ensure the information shared is accurate (or something that we want to be shared), understand how to quantify it, and know when to pick it up and add some structure to it. Co-workers play a huge role in the employee experience. Pressure is on for human resources to deliver solid workplace strategies that add value. But the quest to execute on fresh workforce strategies becomes difficult when encumbered with on-premises systems that can lack scalability and cloud innovations that enable modern HR. The whole industry is evolving and constantly coming up with new HR trends , so you definitely need to keep an eye on all parameters, from talent acquisition to development and performance management. Our goal is to make your job simpler by presenting HR metrics to follow in 2019. Each year we survey hundreds of TA professionals to uncover the leading trends, practices, and challenges facing recruiters and piece these together in our annual Recruiting Trends Report. 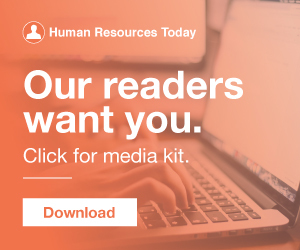 Get your copy of the 2019 Recruiting Automation Trends Report.